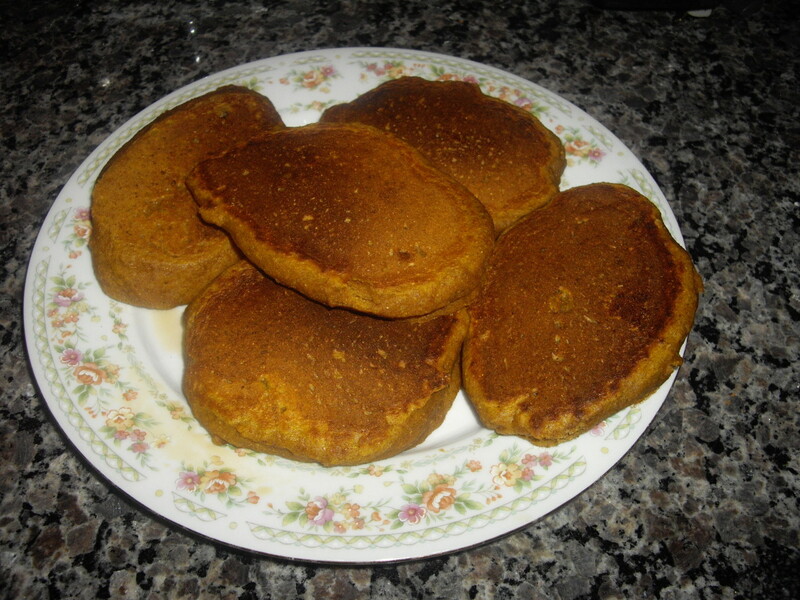 Everyone loves delicious, golden pancakes in the morning but if you are trying to watch your carbs, you may be hesitant to indulge in this treat. 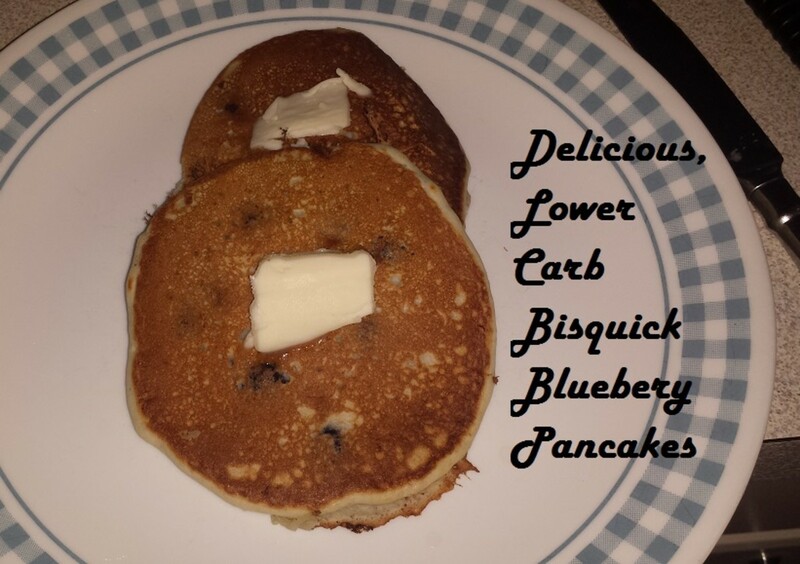 By using this recipe you can still enjoy your pancakes but lower your overall carbs. My kids asked for seconds and could not tell that Almond Flour and Almond Milk were used. Yields: 6-8 Pancakes depending on size. Measure out the Bisquick and put into bowl with Almond Flour. Stir all the ingredients together with a spoon just until moistened. Add sugar and blueberries to taste and gently fold in using a spoon. Measure pancakes out by small ladle. Less batter equals smaller pancakes. Pour the batter in the ladle onto a medium hot skillet or non-stick pan. Cook on one side until batter starts to bubble. Flip and cook 1 to 1 and 1/2 minutes on the other side then remove from heat. If you want to try to keep the amount of carbs lower, you can serve sausage or bacon with your pancakes. While both do have fat, they do not contain carbs so they are good for those on lower carb diets. You can look for reduced sugar syrups or try putting fruit and whipped cream on top of your pancakes instead of syrup. These pancakes are great for brunch as well. If you don't like blueberries you can try making them without them. You can also substitute regular mlik or buttermilk instead of the almond milk. Almond flour is a great way to lower the carbs in your every day baking. While it is more expensive than traditional flour, a little bit of it goes a long way. For most recipes you can remove 1/4 cup of flour for each cup of flour used, then substitute 1/4 cup of almond flour for the missing 1/4 cup needed in the recipe. Even a little bit of carb substitution can help you to reach your weight loss goals. 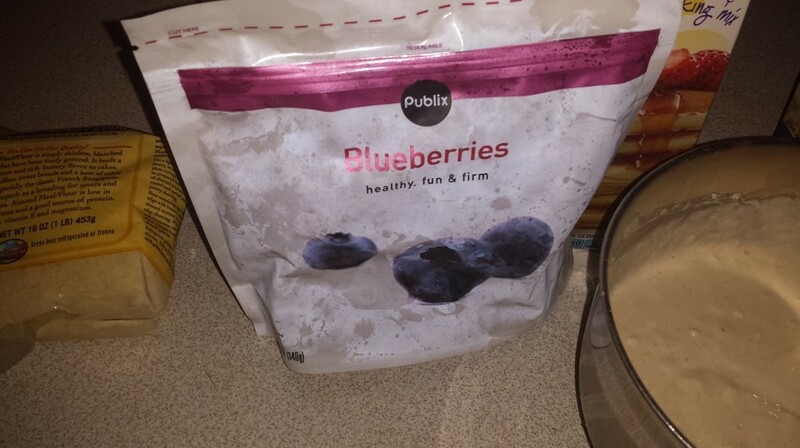 Blueberries are some of nature's perfect fruit. Rich in antioxidants, they can add vitamins and fiber to your morning breakfast routine. Try frozen wild blueberries for an even better and sweeter taste. 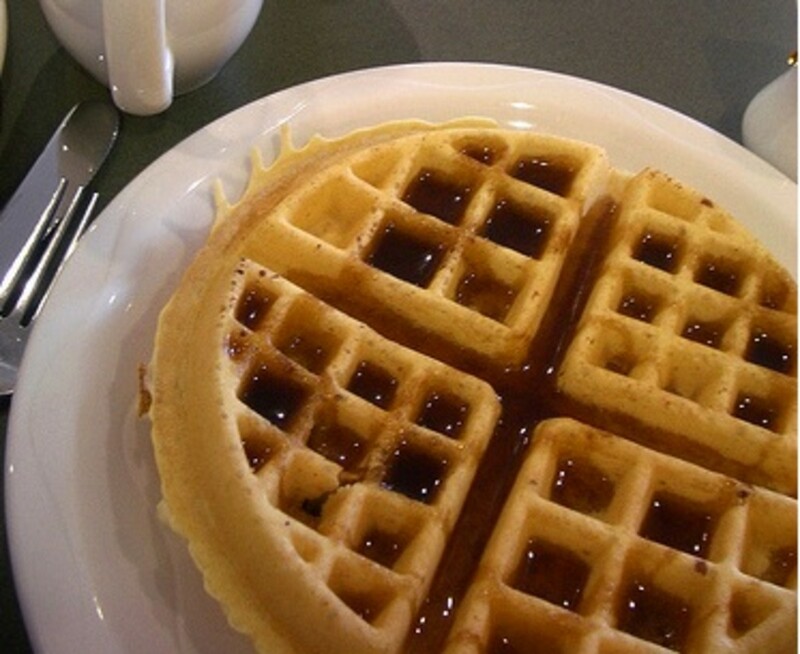 The wild blueberries are smaller and will spread more evenly throughout your pancakes. Heart Smart Bisquick has less fat than regular Bisquick and does not contain any transfat. Regular Bisquick has partially hydrogenated oils in it. 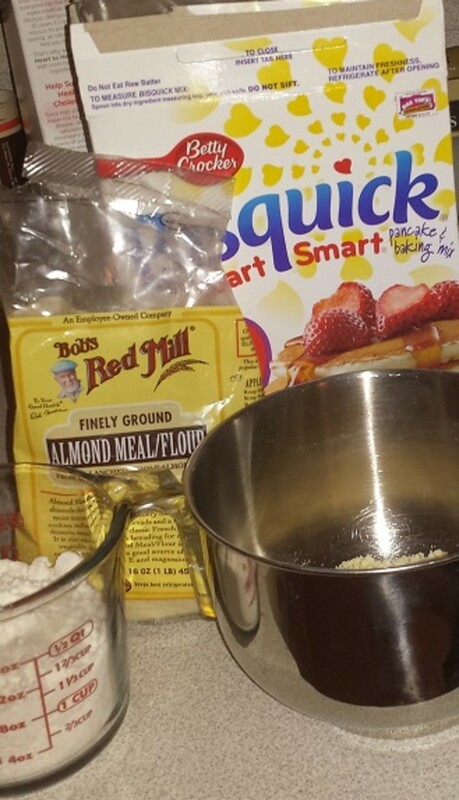 By switching to Heart Smart Bisquick for all of your recipes you'll be doing yourself and your family a favor. And you'll still get the same convenience as regular Bisquick. I use the Heart Smart Bisquick exclusively now. While this recipe does not completely remove the carbs, it does make a lower carb pancake that even the pickiest eater will enjoy. Using the substitution trick with the almond flour can help you to reduce your overall white carb intake. 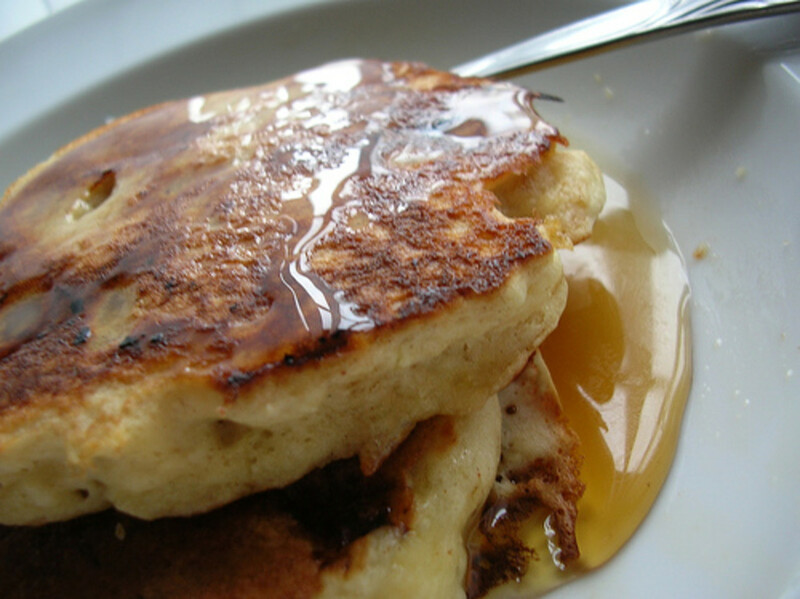 Pancakes can be traced back to at least the 15th Century according to the Essex Chronicle. Because religious observers would need to use up their eggs, milk and flour before lent, Shrove Tuesday also became Pancake Day. In Britain, there was a custom much like today's Halloween, except participants would go door-to-door asking for pancakes. If they were not given pancakes they could throw old pottery at the home. In Ireland being able to flip the pancake perfectly was a big deal and the oldest unmarried girl would try to flip the perfect pancake so that her marriage partner would soon find her. The Essex Chronicle also notes that over the years, pancakes have gotten thinner than they originally were, most likely due to the influence of the French Crepe. In America and some European countries, a modern version of pancake day is still celebrated. Noted pancake restaurant IHOP or International House of Pancakes, gives away free pancakes all day on Pancake Day. 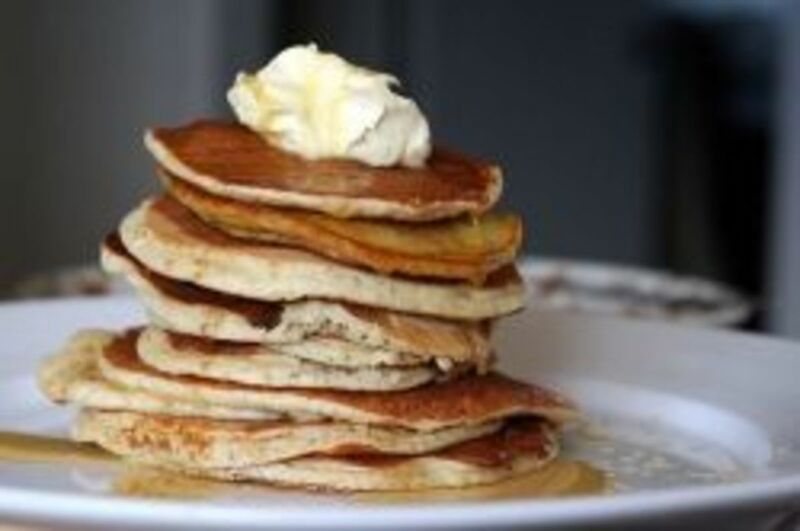 So whether you are enjoying pancakes before Lent or just need good hearty breakfast before work and school, try some lower carb pancakes for a tastier and healthier treat. With just about anything I can think of. A short history of the pancake traditions in Europe. 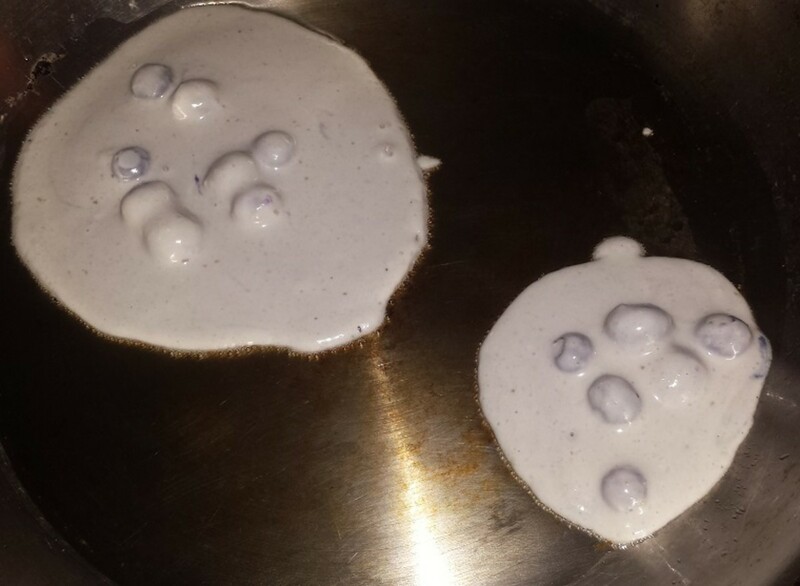 Great recipe for blueberry pancakes, LC. Voted up for useful!